Everyone is talking about Varekai, Cirque du Soleil’s initial salvo in Manila, Philippines. Since it premiered last June 2011, the Canadian-based entertainment company has definitely captured the hearts of the Filipino audience with the show’s fantastical creatures, enchanting music, colorful costumes and unique acts like Icarian Games, Aerial Straps, Russian Swings, and Georgian Dance. 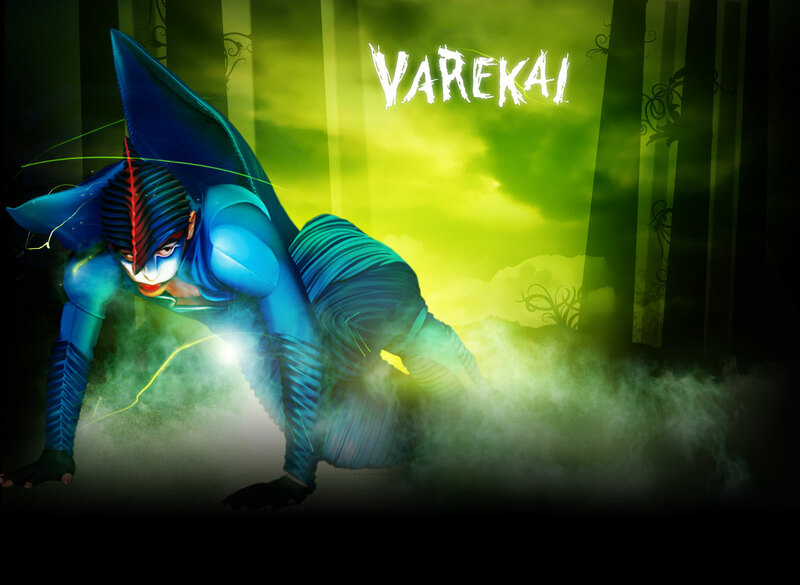 Varekai has become the buzz word that represents a spectacular and amazing show. I can definitely attest that Varekai is one of the best shows I've seen so far and Cirque du Soleil is just marvelous! The cast would always get a standing ovation after every performance. (2) Grand Chapiteu, venue of Cirque du Soleil's "Varekai"
If you have not yet seen the grandest spectacle of the year, this is your last chance to grab your tickets for Varekai from Cirque du Soleil! The Manila run is only until July 24, 2011 and then it will be time for the cast and crew to pack up and fly to Brazil, its next tour stop. For tickets, visit the on-site box office at the blue-and-yellow Grand Chapiteau, or log in to www.hoopla.ph, www.ticketworld.com.ph. For more information, call the CDS Call Center at (632) 669-2222 from 9:00-6:00 pm or Ticket World at (632) 891-9999.